Complete project management—from crunching numbers to moving earth. We believe in seeing projects through from start to finish by teaming up with owners and developers to avoid middlemen and ensure all parties are on the same page. That is why we have created a design/build team and have our own equipment and operators who are capable of everything from dirt moving to installing underground utilities to implementing large-scale alternative energy systems. It is also why we have invested in the front-end tools and expertise necessary to accurately conduct preliminary value engineering analysis, budget and time estimates, GPS capacity, and risk management. 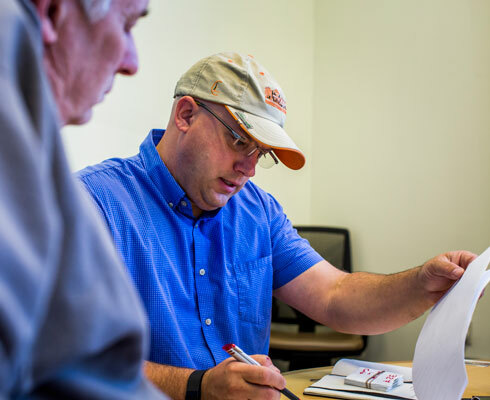 Developing accurate construction bid estimates requires a comprehensive understanding of project costs and factors that impact project costs, along with knowledge of the estimating process. In the end, our estimating team addresses three primary concerns; quantities, pricing and productivity. 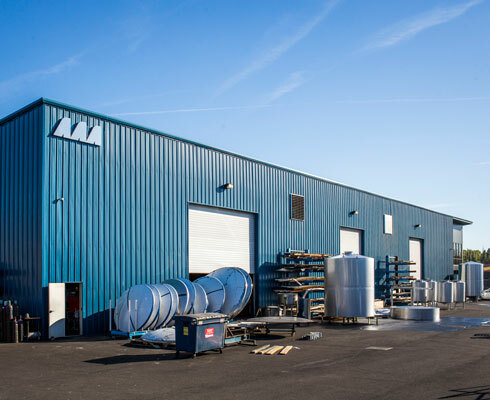 With our methodical yet practical approach, Crestline’s estimates include quantity take-offs, market-factored pricing, and consideration of time constraints. Additionally, our estimating expertise qualifies us to evaluate and analyze submitted bids for possible errors or shortcomings. We have the estimating expertise that you need. 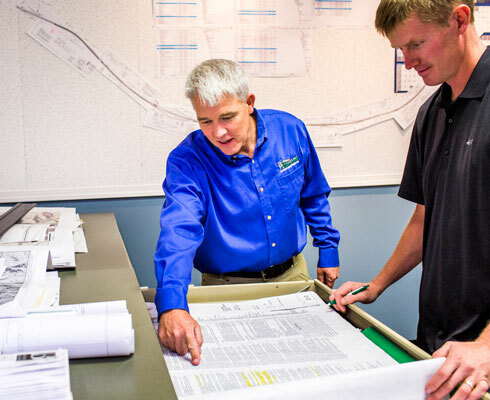 Our estimators are equipped to supplement your team’s expertise with additional insight to ensure your project’s success. Regardless of the stage of your project, Crestline’s cost estimating services can assist with conceptual budgets, preliminary estimates, quantity take-offs, bid estimates or contract pricing. In our effort to provide the most accurate cost estimating services, we utilize HCSS™ estimating software and Carlson™ earthwork and GPS modeling software. Crestline Construction Company, LLC specializes in providing Critical Path Method (CPM) scheduling and project controls. Our scheduling specialists are experienced in developing, analyzing, updating and monitoring project schedules and other project reporting procedures. Crestline customizes our CPM scheduling and project controls services to our clients’ specific needs. Crestline utilizes standard industry scheduling methods and software (Microsoft Project™) to develop, monitor, and report the progression of construction projects such that our clients are informed quickly and accurately of project events, potential problems and corrective actions. Crestline Construction Company, LLC has developed a unique approach to large-scale earthmoving. Haul routes and cycle times define the plan, but timely execution is a function of machine power. 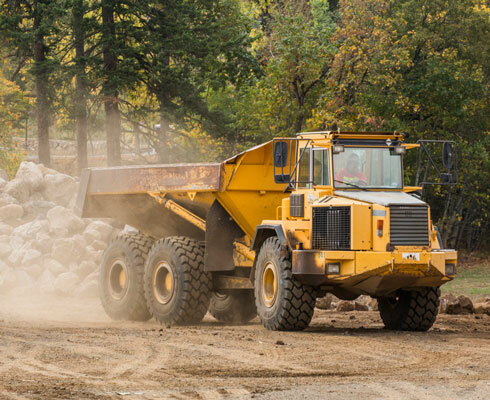 With the state’s largest fleet of excavators and articulated trucks, combined with scrapers, we are able to achieve more production per hour on mass grading projects than any of our competitors. Crestline is the leader in this applied equipment technology and is the best choice for earthmoving in the Northwest. With several machines in constant motion, a fast-moving project is an exercise in controlled congestion. Experienced superintendents monitor and direct the assets as cut and fills proceed, using GPS guidance and machine control to guide, quantify and report each day’s progress. Speed is vital, but so is accuracy. Soil must be aerated, restructured, and compacted to the right point on the density curve, and in that respect, Crestline is on solid ground. Each of our operators is a skilled professional. Some have been members of our field crews for more than 15 years. Owners and construction firms rely on the big machines and expert knowledge that Crestline brings to every project. They know that when the deadlines arrive, their sites will be ready. It is easy to lay a pipe in the ground. But that pipe, when covered with dirt and hidden from view, must last for a century. Achieving that result requires advanced technology, like laser projectors that plot elevation lines on distance markers, and nuclear gauges that measure soil moisture and density. Every year, Crestline’s underground crews lay miles of pipe-ranging from one inch to 108 inches in diameter for water lines, sanitary sewers and storm sewers. 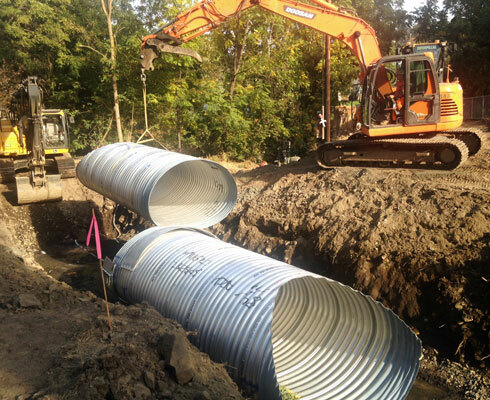 Related structures such as intakes, detention systems, box culverts and pump stations are routinely installed as well. Productivity is enhanced by custom-configured excavators with wider tracks, longer booms, and bigger buckets. Vibrating compaction plates assure proper soil compaction where it matters most, where you can’t see it. With these powerful tools, Crestline’s crews can lay more pipe per day. 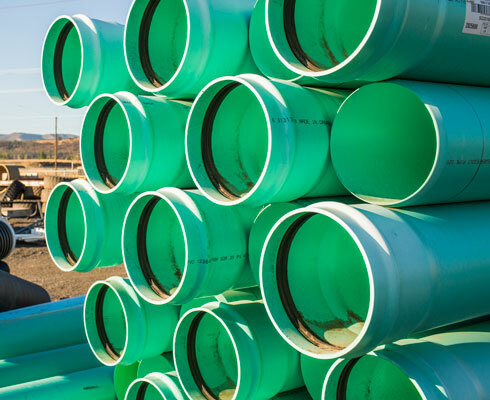 With safety being paramount, We lay pipe in only one way — the right way. 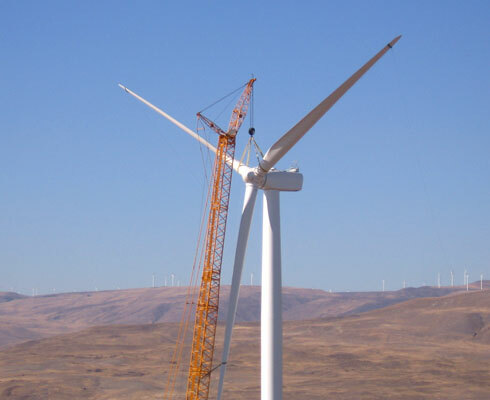 With Crestline’s extensive experience in earth moving, heavy industrial construction, highway and road building, bridge construction, and underground utilities, it was only natural to add wind energy construction to our broad list of services. Our seasoned team of senior construction professionals is focused on applying our experience, dedication and teamwork toward the goal of helping our nation achieve energy independence through renewable energy development. Each Crestline project is managed by a team comprised of a Project Manager, a Safety Director, a QA/QC Manager, a Civil Construction Superintendent, an Erection Supervisor, an Electrical Construction Supervisor and a Field Office Engineer. Crestline offers full Balance-Of-Plant (BOP) services including service road and pad construction, foundation installation, wind turbine generator (WTG) assembly, tower and turbine erection, underground cabling installation, switch yard/substation installation, and utility interconnect construction. When time is short and the risks are substantial, our clients rely on the Crestline Construction design/build team to successfully see them through. Affiliated with some of the regions most respected, talented and knowledgeable engineering design firms, Crestline creates design/build partnerships that are particularly suited to the project’s unique needs. In design-build projects, design work is performed by the same partnership that constructs the project, with the design-build contract generally awarded through a guaranteed maximum price (GMP) or lump sum pricing structure. Consequently, there are no separate phases, or appropriations, for preliminary plans, working drawings, permitting and construction. The client provides a project definition which the Crestline design/build team uses as the basis for its bid. One advantage of the design-build approach is that the project delivery team has single-point responsibility for the project. This helps expedite construction time-frames and reduces the number of change orders. Through several design and construction efficiencies, this approach also saves cost and improves quality. Demand for Crestline’s superior construction services over the past twenty-two years reflects the company’s reputation as a leader in public works and roadway construction. When you engage Crestline for a project, you not only get a contractor with extensive experience in constructing community and transportation infrastructure, but you also get a business partner that is constantly aware of your schedule and your budget, and looks for innovative ways to meet both. 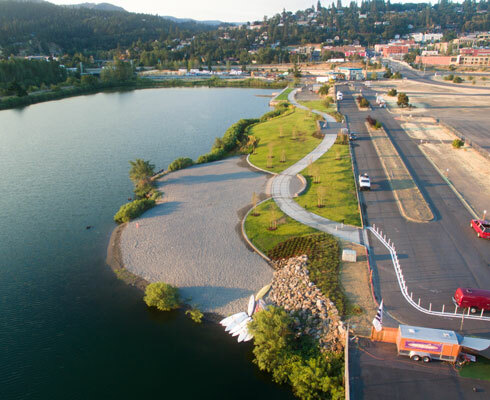 Our portfolio features many of the state’s most innovative and important projects including airport improvements, large diameter water transmission mains, water storage reservoirs, trunk sewers, fish passage facilities and parks and recreation improvements. Developers know that quality work sells. Project quality and success begin with superior site work. Crestline Construction Company, LLC shares those values. Whether your project is a commercial / retail center, a medical facility, an industrial project, a school, an institutional facility or a housing development, Crestline’s experienced crews and large fleet of machinery and equipment can deliver in a safe and timely manner. On-time site work at the lowest possible production cost is our specialty. We take great pride in our highly experienced management team, our field crews of well-trained and skilled foremen, operators and crew personnel, our large fleet of grading, excavation, pipe setting and hauling equipment, and our cost efficient construction capabilities. 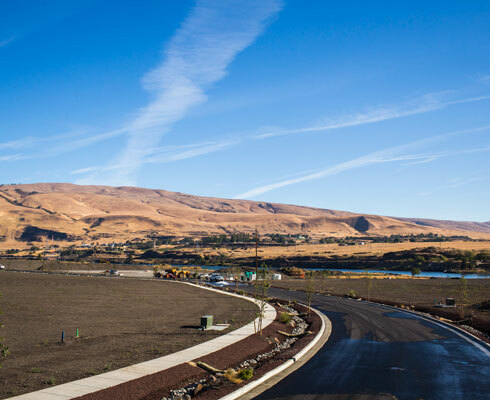 Coupled with our focused project management, Crestline provides complete turnkey services ranging from clearing and grading, to drainage and utility installation, lift stations, sub-base and base installation, and high-quality concrete or asphalt paving. Merging new construction work with schedule reliability and resource commitment separates Crestline from the rest.